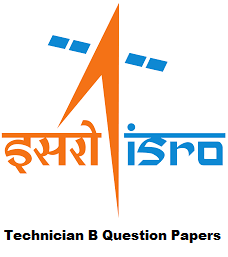 ISRO Previous Question Papers PDF Download – Indian Space Research Organization (ISRO) has announced Technician B recruitment advertisement 2016. Candidates who are interested and eligible they can apply online mode before last date of Online Application 2016. Aspirants must and should prepare hardly to get this job via checking old question papers, syllabus, question paper pattern, solved question papers and study material 2016. Candidates also check other details related to ISRO Technician B recruitment 2016 like how to apply, selection process, educational eligibility, salary, last date and more details are given below. Educational Eligibility: SSLC/SSC/Matriculation + ITI/NTC/NAC in related trade/ branch from recognized Board. Age Limit: Applicants must be between 18 years to 35 years. Selection Process: Written Test/ Skill Test. Candidates who are going to write the written exam of Technician B they must and should check previous question papers, solved question papers for best results. Here I am sharing question paper links. You can download and save question papers.